Google’s Pixel phones seem to have a function similar to one found on HTC devices. It’s not a surprise as HTC obviously has a hand in creating the Pixel and Pixel XL but why didn’t Google mention it till now. Both Pixels’ screen turn off when a magnet is placed on it, HTC uses this tech for the functioning of its dot view flip cases. Looks like Google decided to ditch the use of dot view styled cases at the last moment. Even though Google hasn’t shown any use of this tech, flip case makers can benefit from it. 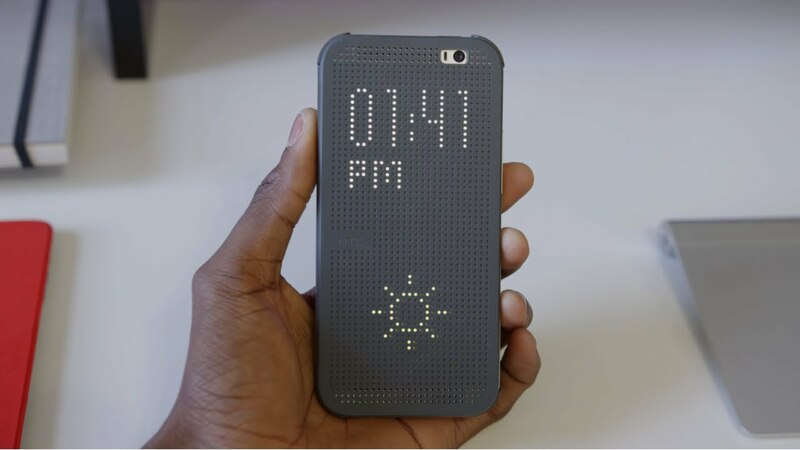 HTC devices’ dot view cases show important information like time and weather through the dots without requiring the user to flip open the case. This can be a neat feature if it makes its way to the Pixel and Pixel XL; people at XDA probably have already started working on adding this functionality to the Pixel phones. Hope the case makers are doing the same, so that both the software and hardware can work harmoniously. This piece of tech in the Pixel and Pixel XL was never mentioned by Google, maybe the software wasn’t ready to ship with the product. The company could have been planning to add it later with a software update and release supported cases alongside. It could also be possible that Google’s planning to take the dot view cases to the next level. The one’s found on HTC devices show a limited amount of information, Google could be adding a lot more to the plate. Maybe new ways to interact while the case is still on, silencing calls and notifications. Android Headlines thinks that Google may be hiding more features under the hood that could enable the phone to work with a wider range of accessories or just a last moment ditched the idea. Whatever the reasons, Pixel owners will surely be seeing a range of accessories pretty soon.